Naan bread is a traditional accompaniment for many Indian dishes, such as savory mulligatawny or spicy lentil soup, and is delicious and easy to prepare. In India, flat bread is baked in a tandoor or clay oven. My picky husband, who prefers white bread, doesn't even notice the whole wheat in this recipe. 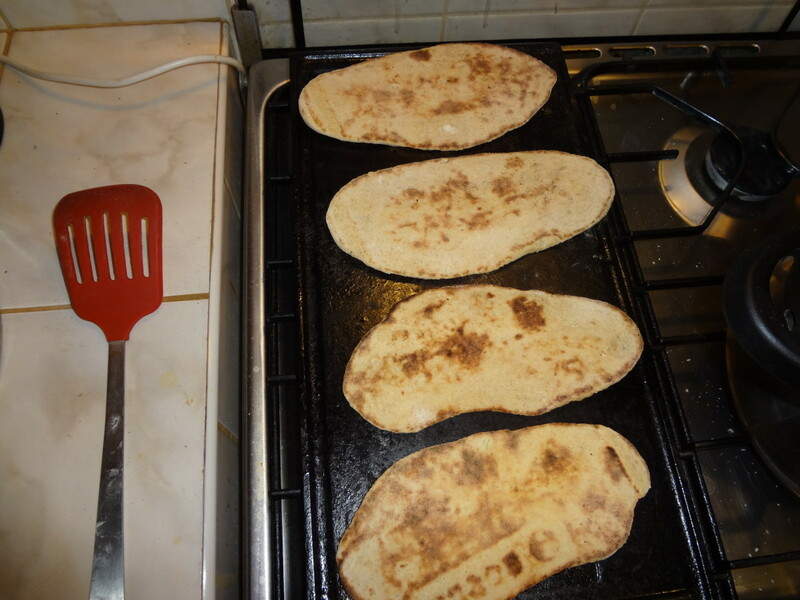 This flat bread can be used as a substitute for pita bread or, in a pinch, to build a pizza. Some naan breads are leavened with baking powder but this yeasted version is chewy, light and fluffy. I often add fresh garlic to my naan for intense flavor. My grandfather developed the method I use for kneading dough. As a young man he owned several restaurants and also cooked for the family. Well into the golden years, his home was filled with the fragrance of freshly baked breads and pies. When his strength began to fail him, he used a hand mixer to cut down on kneading time. His method is faster and easier and produces perfect naan bread every time. You may use all white flour, but you'll lose the health benefits of whole grain flour. Add a dollop of plain yogurt (egg, yogurt and liquids shouldn't exceed 1 3/4 cups) to give your naan a delicious, sour flavor. If you own a stand mixer, let it do the work for you. Follow the manufacturer's suggestions and after the first rise is complete, proceed with step #6 of the "instructions" section below. If you own a bread maker, use the dough cycle. When the cycle is over, proceed with step #6 of the "instructions" section below. If using a hand mixer, be careful not to let it overheat. 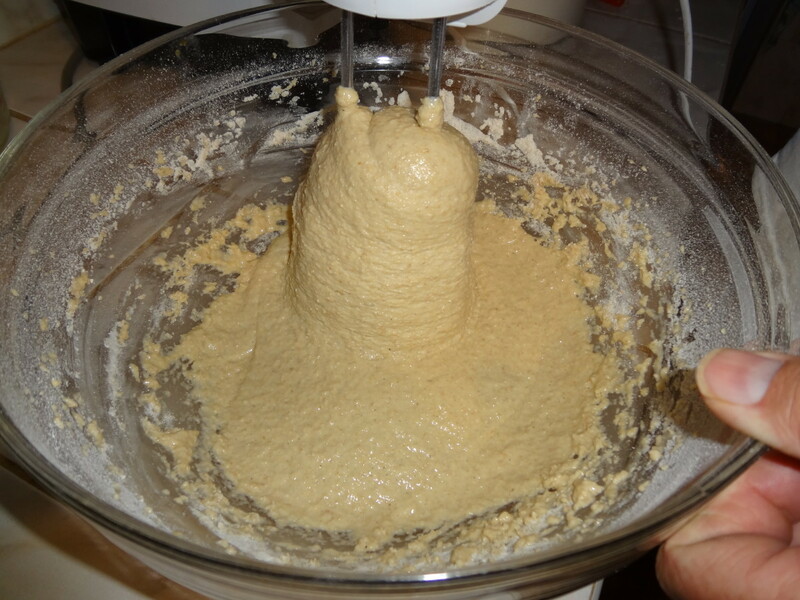 You may need to stop after a couple of minutes and let the mixer rest before proceeding. Generously sprinkle countertop or Silpat with flour and flour your hands. Reserve the last half cup of flour to sprinkle on the surface as you knead to prevent sticking. You may not need to incorporate all of the flour. 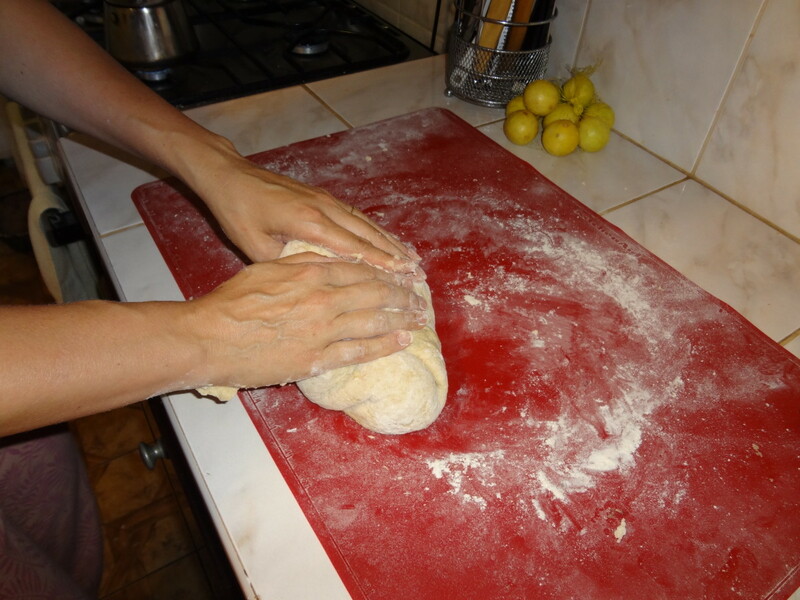 Continue kneading until dough becomes smooth and elastic, or springs back from your touch. You can test if you've kneaded the dough enough by pushing two fingers into the dough. 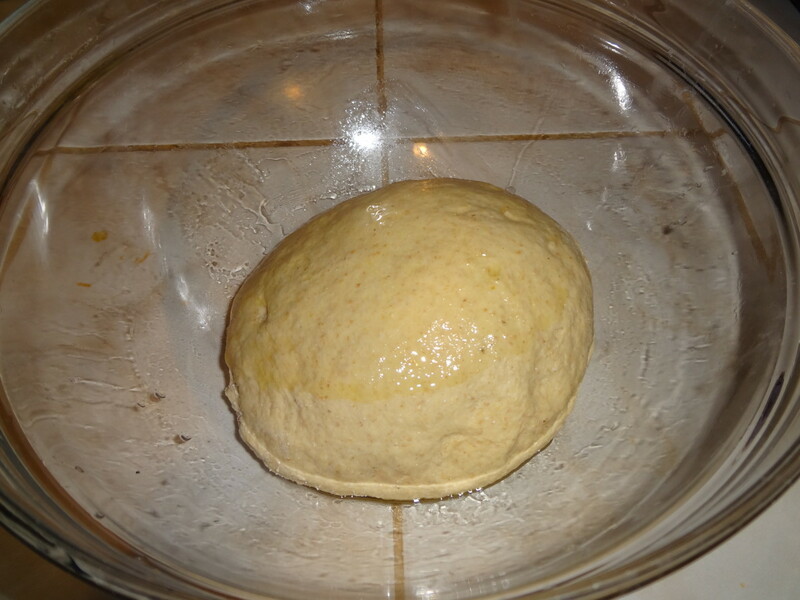 If the indentations remain, the dough is ready for rise. 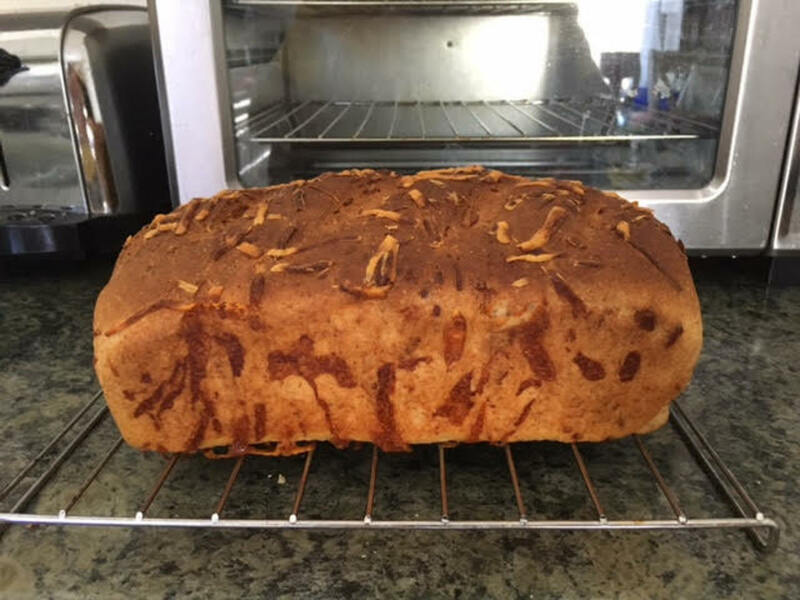 Although bread machines fell out of favor after the rise in popularity of lower carbohydrate diets, they are highly recommended for any home cook who enjoys bread products. Just add ingredients to the pan and the bread machine does all the hard work. Besides baking a perfect loaf of homemade bread, most models have a "dough" cycle that kneads ingredients and keeps dough warm during the first rise. This feature is very handy for making pizzas, bagels, pretzels and sweet breads such as cinnamon rolls. Most machines also feature a special cycle for healthful, whole grain breads. See the capsule at the right for our favorite bread machine from Amazon. The Panasonic SD-YD250 is highly rated for durability and ease of use. Our model has fallen off the kitchen countertop and suffered internal damage after being plugged into a 220V outlet, yet still works like a charm after five years of weekly use. Combine 1 1/2 cups white flour, 1 1/2 cups wheat flour, salt, sugar and yeast. Stir to combine ingredients. Reserve the rest of the flour. Add water/milk/yogurt/egg mixture and blend on high speed with a hand mixer for about 5 minutes. Add one more cup of flour and stir with a wooden spoon until flour is incorporated. Place dough on floured surface and knead as explained above in the "tips" section, incorporating most or all of the remaining half cup of flour during the kneading process. When dough is smooth and elastic place in an oiled bowl, rubbing a little oil on the dough's top surface so it doesn't dry out. Cover bowl with a towel and set in a warm place for 45 minutes to 1 1/2 hours, or until doubled in size. 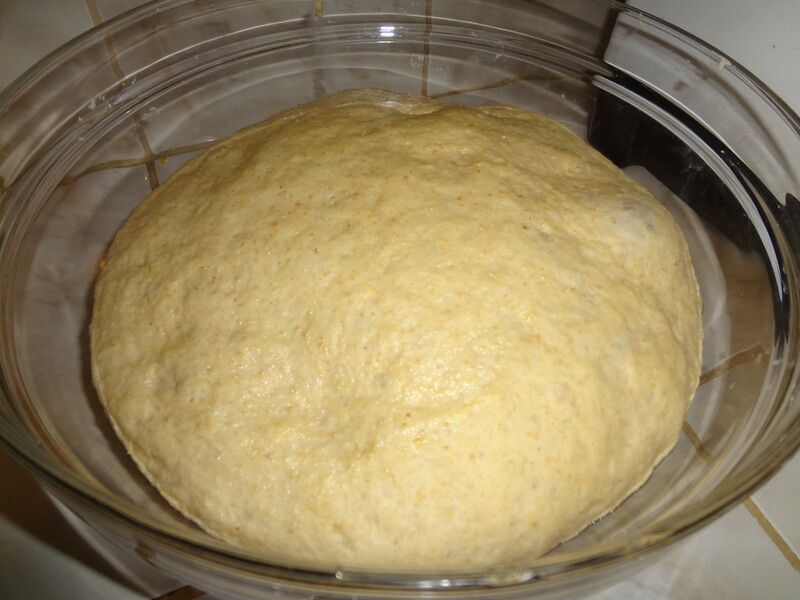 Return dough to floured surface and knead in minced garlic, if using. Cut dough into 4 pieces. Cut each piece into 3 or 4 uniformly sized pieces. When finished, you should have about 16 lumps of dough. Roll each lump into a ball of dough and set aside. Using a rolling pin, roll each ball into a thin, oval shape. Preheat a grill or griddle and lightly brush with oil. Transfer ovals onto grill and cook for 2 to 4 minutes on each side, until puffy and lightly browned. Remove from grill, brush with butter and keep warm. Serve immediately. I always remembered naan bread being quite thin, maybe there are different variations. I love naan for dipping or just eating on its own, so I'll try this out! I truly love garlic naan and curry. Can you please send me some as I'm not into cooking it myself? Just kidding! Anyway, great article. I'll see if my husband wants to make it for me. Love your article. It looks easy to make. Moonlake, thank you for your comment and the pin! This recipe sounds so good. Will have to pin. Thanks for sharing also voted up. Claudio Tello, thank you for your support. This is one of our favorite flat bread recipes. It´s especially delicious with the optional garlic. Enjoy...I appreciate the pin and comment! As a naan fan I would love to try this recipe. 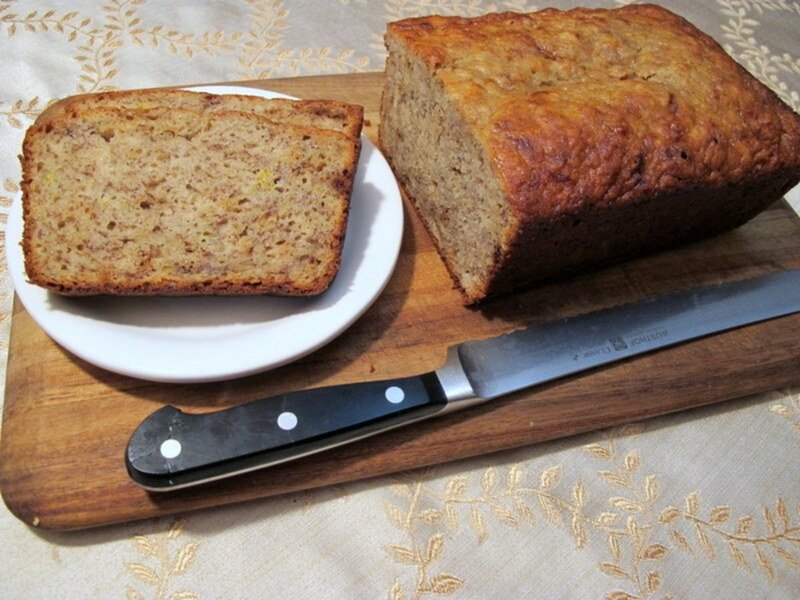 I´ve never tried to make it at home but I am excited by your whole wheat recipe. I´ll pin it in my delicious knockout board. tonymead, what I wouldn't do for an outdoor bread oven! They're great for pizza and calzones, too. I hope you enjoy this whole wheat pita bread. Thanks for your comment. 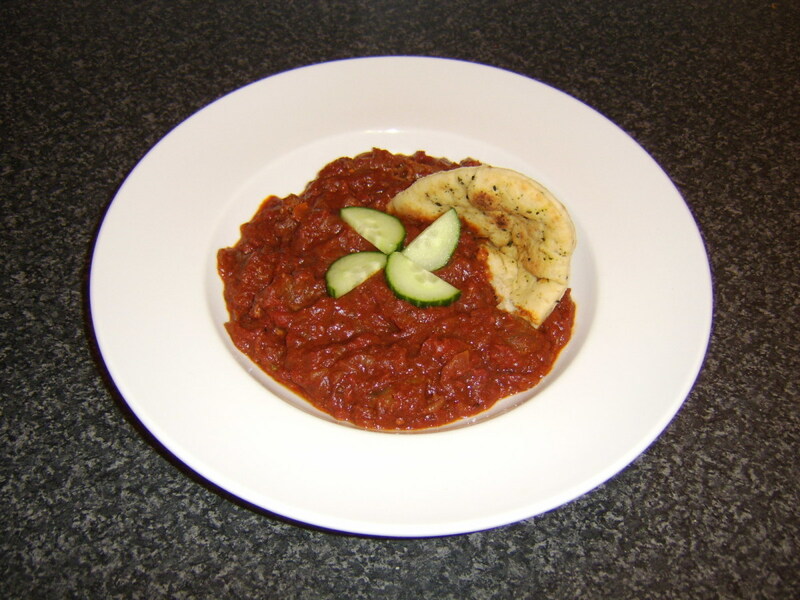 naan bread is such a distinctive flavour and so compliments spicy food such as curry. I have an outdoor bread oven which is ideal for naan and pitta bread. Aufait, naan is easy to make and, of course, there's nothing like homemade. We especially like garlic naan. Enjoy and thank you for coming by! I think I've eaten naan before. It looks just like what I had, but it was a long time ago. It was really good. Going to have to put this on my todo list. Voted up and gave you another 5 stars! 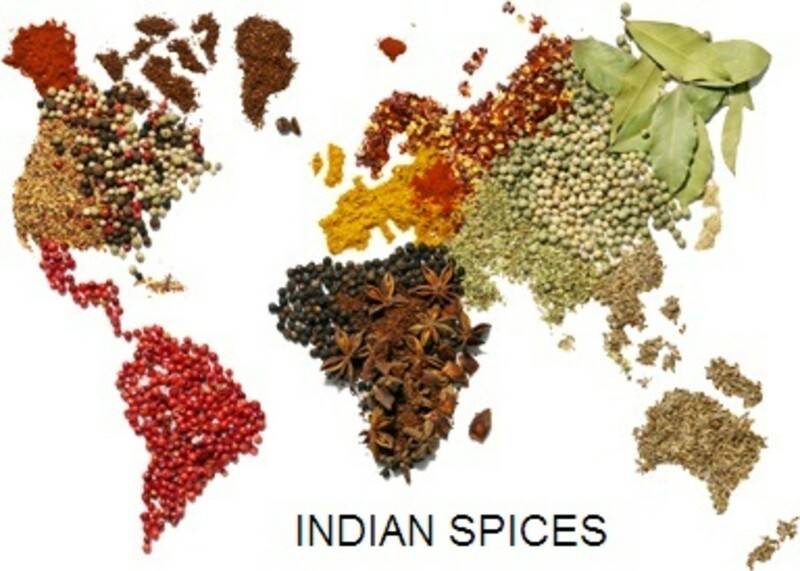 Kathryn Stratford, we love naan bread with curries. I especially love garlic naan, but then again I can't get enough garlic. Thanks for taking the time to read and comment. I want to make these to go with my next Chicken Curry meal. Mmmm! Rust Mccollum, enjoy! 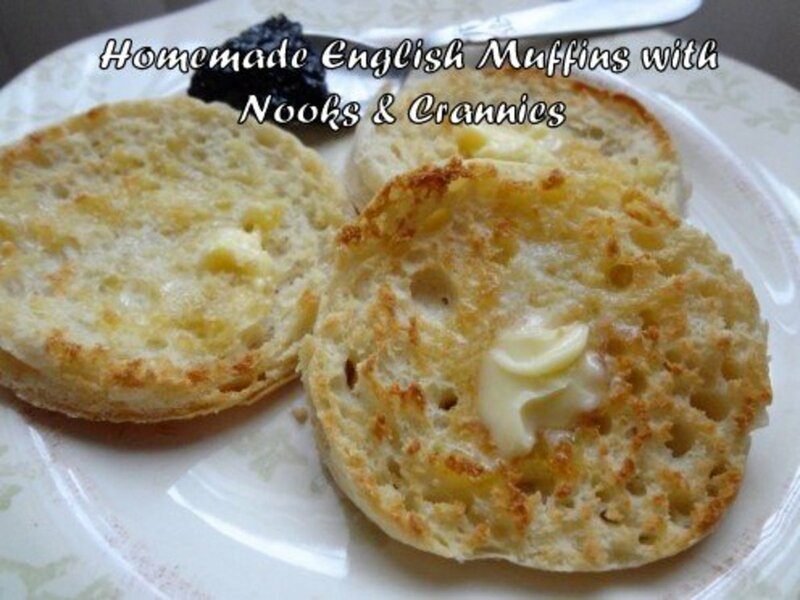 They're easy to make and delicious...thank you for coming by. I printed this! I'm gonna make it! I'm even gonna make pizza with it! Thankyou! Trish303, glad you like the recipe! I hope you have a chance to try it. Naan is easy to make and delicious, too. Thank you for coming by! Thanks for the recipe. I always wanted to try to make this. Voted up for useful. Whole grain naan is so much healthier than the traditional naan made of refined flour and still quite delicious! Thank you for taking the time to comment, Nicola Tweedie. Thank you, always wanted to know this! Livingsta, thanks so much for coming by. Enjoy the naan...it's one of my favorites! Beautiful, well illustrated hub! I think I am going to try this one! You're welcome, Natashalh! The whole grain makes it so much healthier, too. Thank you for taking the time to read and comment. I love naan, it is so delicious! Thanks for sharing this recipe. Nice to know that you made Indian bread - naan. I like naan a lot and enjoyed eating it with butter-chicken, spinach curry with cottage-cheese and other Indian side-dishes. Well-explained instructions and photos! Well-done! Great! Please tell me how it goes! Thanks for the update! Sounds like a bit more work, but if I bring home one more kitchen appliance - for example, a bread machine - I'm done for! We've got no space now. I am definitely going to give this a shot - out on the grill. Thank you so much! I have wanted to know how to make Naan for quite sometime and you explain it in simple terms! Vote up and useful! SOKCGOLD, I have updated naan hub with instructions for kneading as requested! 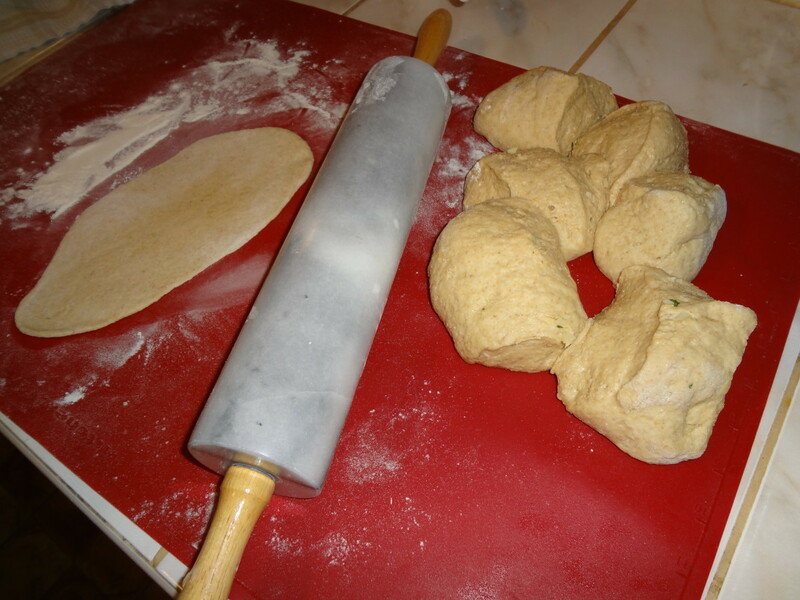 Peggy W, I have updated naan bread hub with instructions for kneading. Oh, be still my soul! Naan bread is so delicious! I will try this one, for sure. Voted up, awesome and bookmarked! Yes, there is a certain sense of accomplishment after making bread from scratch. This weekend I plan to make the naan from scratch, take photos and post the instructions for those of you who don't have bread machines. Thanks for your visit, Peggy W! This sounds delicious especially with the added garlic. 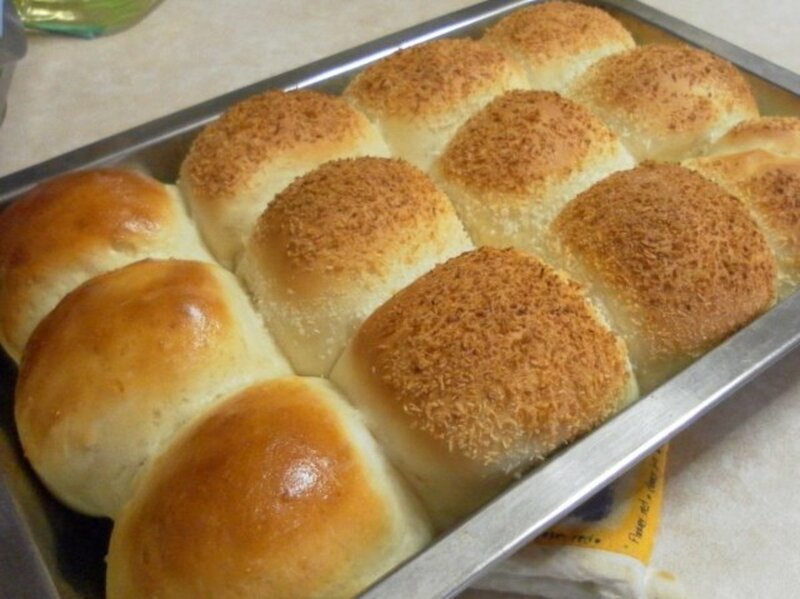 I also do not have a bread machine, but years ago made homemade bread from scratch. I rather liked the mixing, kneading, punching down and letting it rise scenario. I imagine it would involve the same process in this recipe. Thanks! Voted up! Those are some very good questions, SOKCGOLD. I will add some simple instructions this week for those who are bread machine challenged. I use a griddle and although I've never tried naan on the BBQ grill, I imagine it would work famously since the breads are thin and cook up quickly. Please drop back by and tell me how it works out for you! 1. What if you don't have a bread machine? Can you add instructions for those of us still back in the stone age? 2. When you say grill, would that be like an outdoor, barbecue grill? That seems like it might be fun and add another level of flavors. Snowed in? In that case, I recommend Mulligatawny and naan for dinner, butter caramels for dessert! You're welcome! I'm happy we're Hub neighbors! First time I tasted naan I couldn't believe how tasty it was. Couldn't get enough. I like that you used whole wheat flour in it also. Thanks for sharing the recipe. 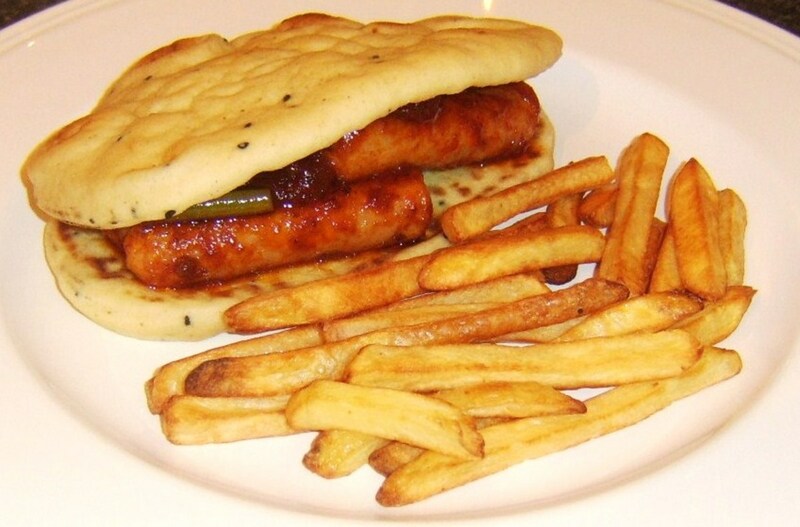 Yes, naan bread goes with almost anything! I love naan bread - it's great with any soups or stews - never thought making it could be so easy - will definitely try this one - B.
I always make it with garlic. 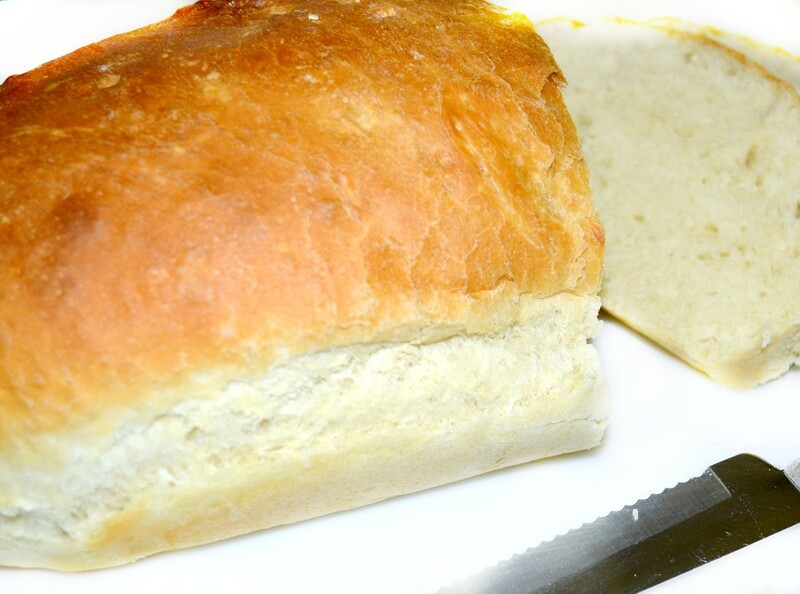 It fills your house with the most delicious fragrance of freshly baked bread, too! 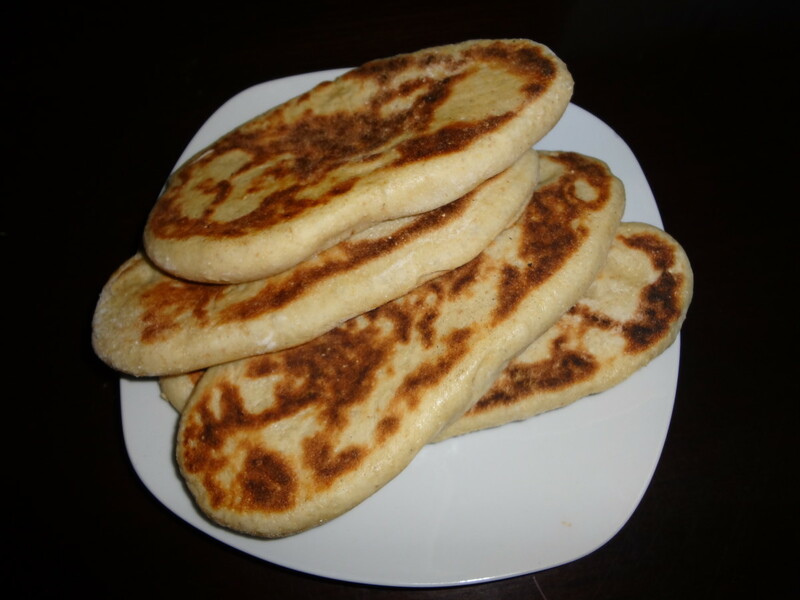 Naan bread is one type of bread I've never made, this recipe sounds nice and easy - I must give it a try. the addition of garlic sounds yummy too! Love naan bread and this sounds like an excellent recipe. Voting this Up and Useful. Another great recipe. We love naan bread, too, and have a couple of different recipes for it. Another great hub, vespawoolf! I love fresh pita with hummus, so next time I make hummus, I'm going to try and make naan to go with it! Voted up and useful.